Are you a trainer? Do you facilitate meetings? The International Training Centre of the International Labour Organization (ITC-ILO, a specialised, not-for-profit UN agency and an Experientia client) is currently experimenting with crowdfunding to finance a set of 60 cards featuring participatory knowledge sharing methods. 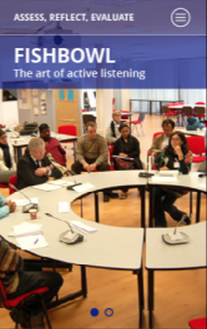 The cards are a handy tool to help workshop facilitators and trainers make informed decisions about the appropriate methods, tools and resources to conduct learning activities. The cards will feature training and facilitation methods that are frequently used by the ITC-ILO. They have been carefully selected and validated in workshops by the ITC-ILO over many years, and the full-length descriptions are currently available on their Compass website. Since creating the Compass website, ITC-ILO has had many requests from their own trainers to create a portable tool that is easy to travel with, can be used in offline situations, and offers a brief synthesis of the selected methods. The card set is highly useful for anyone who conducts training activities, prompting the ITC-ILO to use crowdfunding to develop the project. It not only lets demand drive the project, but offers the available knowledge to a much broader audience. Donors to the campaign receive rewards ranging from digital versions of the eventual card set to varying numbers of full printed sets. The donations will help to fund the design and printing of the cards. want a short and visual explanation of participatory knowledge sharing methods, instead of large manuals or tools that are only available online.